Bob Brown defies most stereotypes we hold about politicians, and transcends much of the cynicism. Whenever I speak with him these days, he asks how my boyfriend Tanel Jan is going. They have met a few times at Greens functions and at Bob’s recent photographic and poetry events. The first time they met Bob asked Tanel Jan where he got a feather that was behind his ear from. Bob notices those kinds of details, because he cares deeply about people. When Bob Brown announced last year that he would resign from Australian politics in April 2012, the party he had led for 16 years was at its prime. He exited as one of the great survivors of Australian politics, having endured six changes of Labor leadership and four on the Liberal side since he was first elected to the Senate in 1996 after 10 years in Tasmania’s state parliament. The reasons for Brown’s departure seemed simple enough − he turns 70 in December this year, so he knew he was not getting any younger and felt confident the Greens were a strong enough team to continue into the future. It was surely a decision he didn’t arrive at lightly; he may have mixed feelings today about the fate of the party he helped found. Brown has recently rearranged his life in Tasmania, given his famous bush property in Liffey to Bush Heritage Australia (an organisation he founded in 1991 that has gone on to preserve close to 1 million hectares of bushland around Australia) and moved to the idyllic farming town of Cygnet in the Huon Valley. Since leaving parliament Bob has remained in the public eye – joining a number of national protests, including the successful bid to stop mining company Woodside build a massive gas factory at James Price Point in the Kimberley, setting up the Bob Brown Foundation that has galvanised national outrage against the federal government’s attempts to wind back the World Heritage listing of the Tasmanian forests, and becoming an Australian head of the Sea Shepherd Conservation Society. As if those tasks weren’t keeping him busy enough, Bob also has his 20-year relationship with Paul Thomas, a Tasmanian former sheep farmer and shopkeeper. The two men have certainly had more time for long hikes in nature since Bob escaped the tiresome drudgery of parliamentary sessions, but it’s worth remembering that none of the many things he achieved in his personal and political life have come easily. As a young medical student in Canberra he struggled to accept his homosexuality, submitting to gay conversion therapy and at one point contemplating suicide on the banks of Lake Burley Griffin. Later in Tasmania, as a young GP, he finally ‘came out’ as gay by first knocking on the doors of his neighbours and then writing a letter to the Launceston Examiner. This ability to merge the local with the national, the personal with the political, is surely one of Bob Brown’s most endearing qualities. He has never been one to keep up with the passing fashions of the times. Indeed, he says the closest he got to the 60s counterculture was when he was a young medical orderly in London and Jimi Hendrix was brought in on a stretcher. Later, as a young GP in Launceston, Brown was drawn into the battles over Lake Pedder and the Franklin Dam; he emerged somewhat reluctantly as an environmental leader. He still suffered from crippling nerves at the thought of public speaking, and was always more of a political figure by necessity, rather than being driven by ego or lust for power. These early experiences ensured he has always retained his empathy for the underdog. Brown’s words cut through the cynicism that many Australians feel towards politicians and gave much-needed voice and heart to a movement that would become one of the largest anti-war movements in history. Although the focus of Brown’s activism has changed over the years, the fundamentals have remained: the attempt to keep in check the forces of rampant industrialisation, inject humanism and compassion into national politics, and preserve what is left in the natural environment for the sake of future generations. His story begins and ends in the lush, silent fertile forests of Tasmania. One of his favourite quotes is from Machiavelli: ‘If you want to change the world, prepare to feel the full force of the reaction against you from those that have the most to lose.’ Even from his enemies there is grudging respect. It’s telling that although News Ltd papers in particular have attacked and criticised Brown at every turn, The Australian recently voted him the most influential politician in the country. Bob Brown threatens the big end of town because his politics are the politics of democratic revolution: sustainability over capitalism; compassion over profit. He will be remembered as one of Australia’s true revolutionaries. 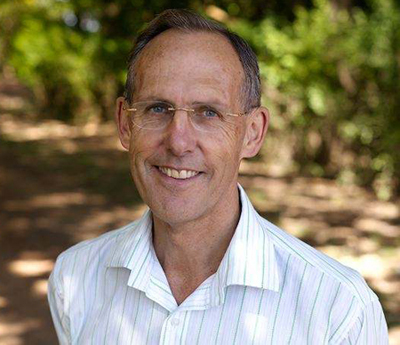 As his recent return to grass-roots activism has demonstrated – Bob Brown’s contribution is far from over.